Your kid has been falling ill since last few months. The reason of your child’s ill health is the flies which become the unwanted visitors of your place. These nasty fly pests are found in filthy zones. Garbage, drains and rotten food items are their favorite hangout places. 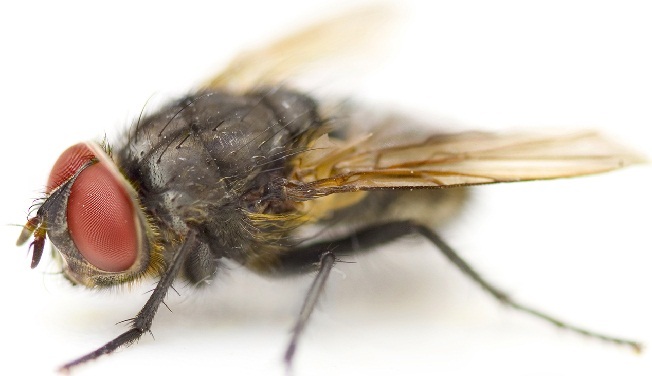 Germs and bacteria get transported in your home through these fly insects. These pests land on your uncovered food items, making the food contaminated. When your kid or any other person comes in contact with the contaminated food, then the person succumbs to serious health issues which could even turn out to be life-threatening. Flies infest at a rapid speed. These flying critters invade your space in search of nesting and eating purposes. Anything you keep uncovered will be attacked by these flies. You cannot keep your doors and windows closed all day long. A hole in any parts of your home can invite flies to nest in your abode. Not only your home is under attack of infestation. The commercial properties and restaurants are not immune from the infestation of flies. Removing the infestation of flies is extremely necessary for your good health. The fly sprays which you buy from the local pest stores will not be useful in preventing flies from nesting your zone. You would need to get a professional touch if you want to stay away from flies. We execute flies control services all over your place to exterminate flies from your house and surroundings. There are various ways which can keep your area free from flies. Our “flies control Perth” serviceguys will provide you some effectual tips which are cost-free. Apply these easy tips to keep flies off your zone. * Do not keep your house messy. A messy home becomes the breeding spot for flies. * Do not keep access points open. As soon as you find small holes and cracks, you should close them with hard materials. * Keep compost bins and other garbage areas clean. Dump trash on a daily basis. * Food items should be covered with tights lids. Wipe food spillage on the spot. To exterminate the existing issue of flies infestation, you need our flies treatment Perth program which aims to rid you of from flies. We assess your home in a thorough way to know the level of infestation and the precise cause of infestation. The survey of your property will help us know which fly specie has invaded your zone and what type of fly treatments are needed to eliminate all flies at once. Using best technologies and enviro-friendly fly pesticides on the breeding points, you will never find flies flying in your zone.